“Winters are long in Sweden,” Alex reminded me. I’d just flipped to the Swedish Cheese Custard in my 100-year old copy of the “Pan Pacific Cookbook” and lifted my eyebrows. 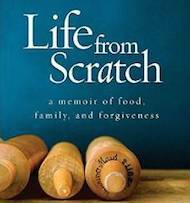 My eyebrows lifted further as I scanned the main ingredients – cheese, eggs, and milk. Turns out Cheese Custard is a dairy farmer’s happy place. Perfect after a casual ski through deep snow. 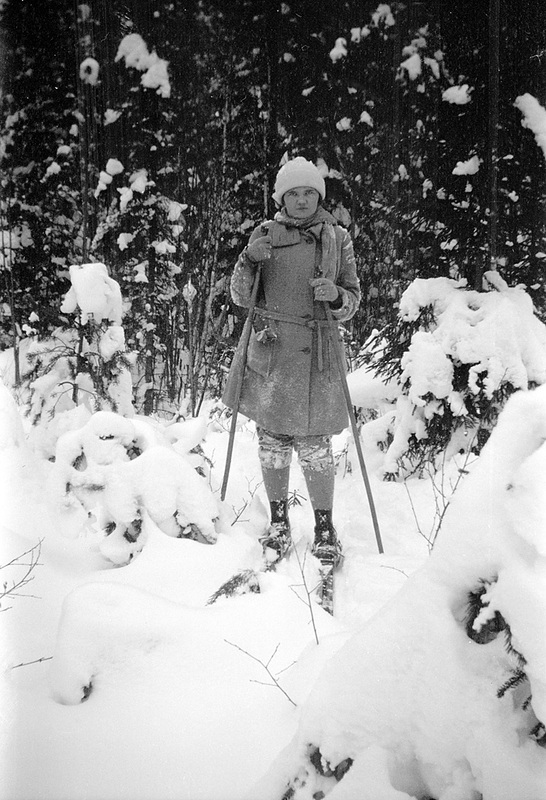 “Art History professor, Esther Burno (1903-1965) on skis in Gysinge, Sweden” by Swedish National Heritage Board. But one question remained… Is cheese custard good? Cheese custard is a question mark on this side of the Atlantic Ocean. We don’t typically eat savory chilled custards. But Swede’s know it is a silky, indulgent affair. It’s as if someone took the ingredients to a quiche and mixed them up – there’s fewer eggs, more cheese and much more milk. All that milk? It makes for a delicate spoonful. This photo shows the custard after 24 hours refrigeration. The other photos were taken shortly after baking (I was losing light fast). As the custard cools the cheese creates a soft, flaky crust. 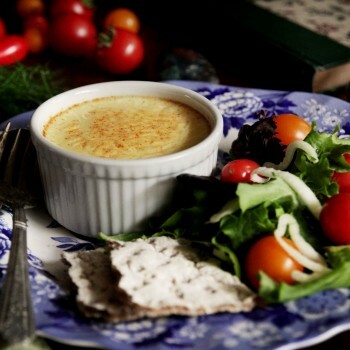 The golden top looks similar to the crust of France’s often swooned over crème brûlée. 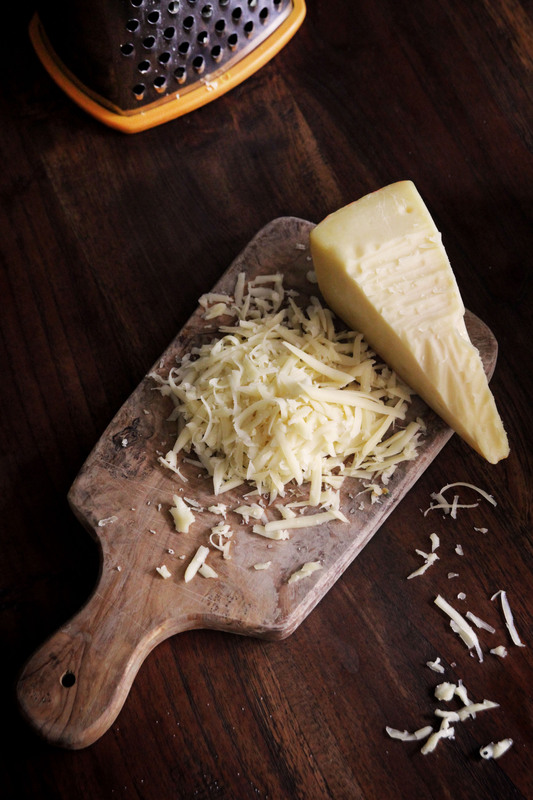 My friend recommended using Jalsburg cheese – unless you can find Sweden’s whiskey-cured Prästost. Jalsburg gives the custard a mild, nutty flavor with a little extra salt concentrated in the flaky crust. It’s a ladies who brunch sort of affair. Trim ramekins arrive cool from the refrigerator, as fine as crème brûlée but with the same addictive qualities as a salty bag of potato chips. There’s a salad with thinly sliced fennel and garden tomatoes on the side. Feathery fennel fronds give the vinaigrette a gentle licorice note. Perfect for baby showers and bridal showers. 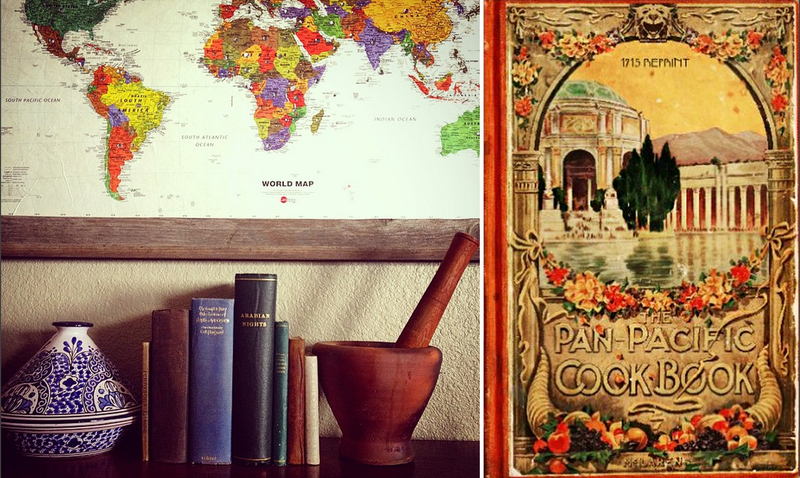 My precious copy of the Pan Pacific Cook Book lives under our world map in the dining room (it’s the short green spine). On the right is a reprint from the same year in red. … perfect to park your yellow 18-wheeler next to. 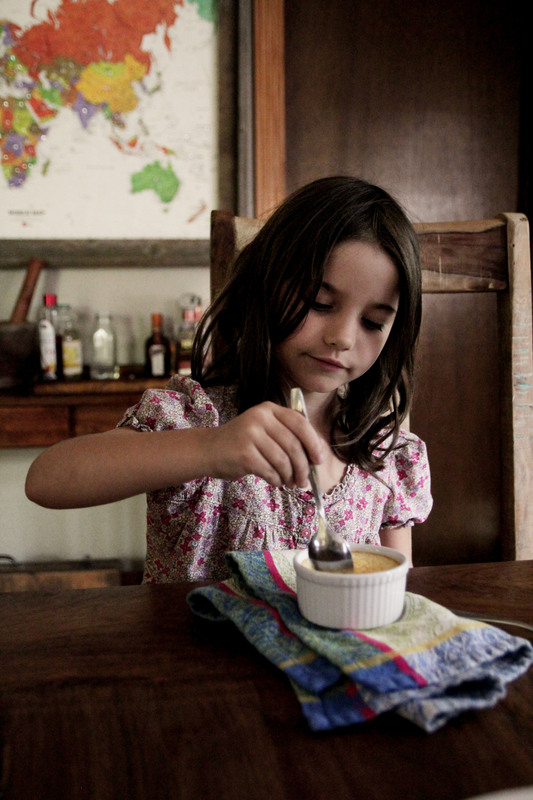 Ava has big ideas when it comes to food styling. I love her boundless creativity! I also love this tooth situation. 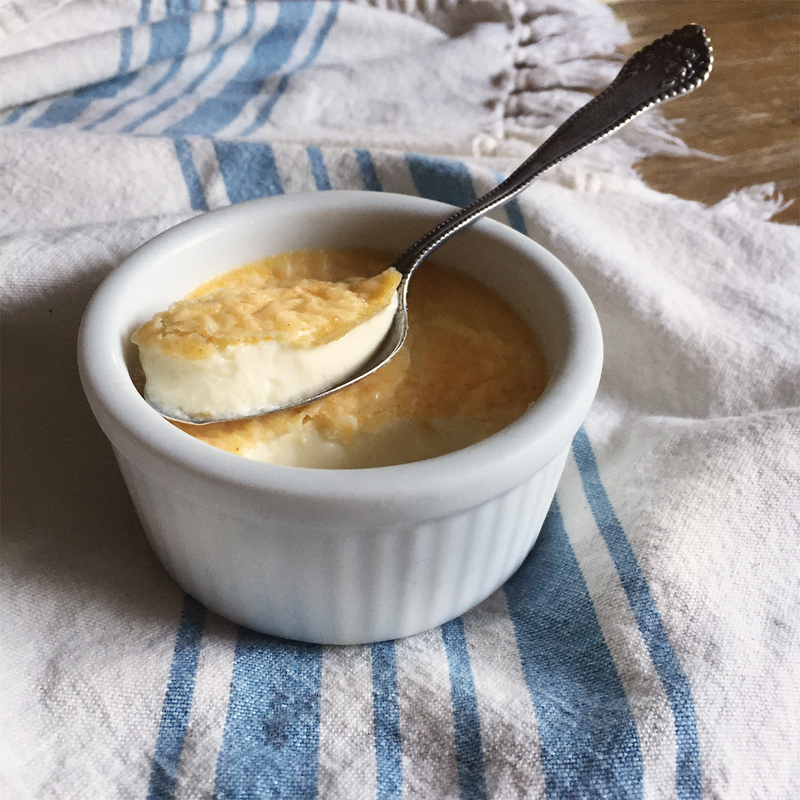 There are barely five ingredients in this recipe – cheese, eggs, milk, paprika, and salt – so technique is what is going to make the custard exceptional. Create an even, silky texture by baking the custards in a hot water bath. 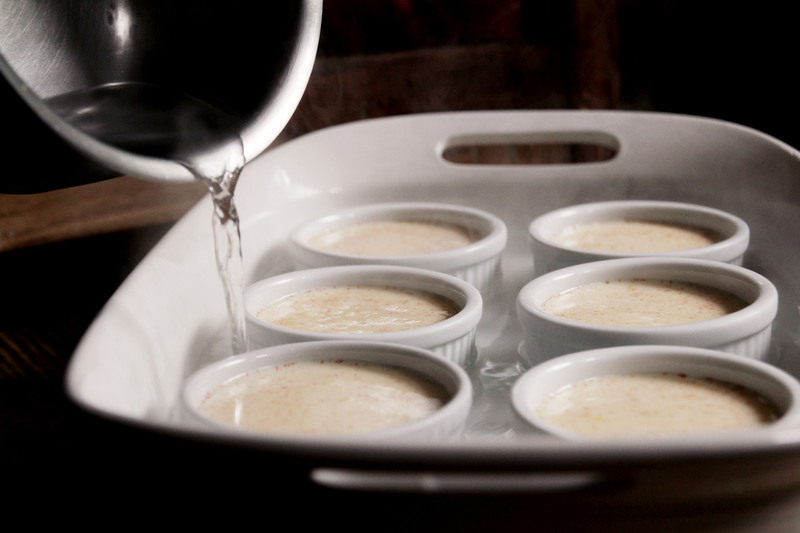 Prevent a cracking custard by removing the ramekins from the oven while the custard is still jiggly. It will firm up in the refrigerator. 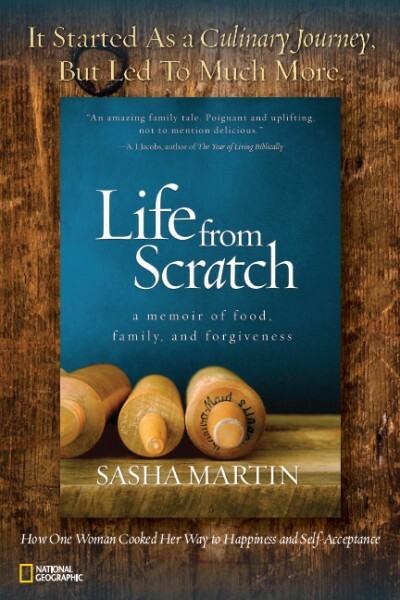 Kids will like the smooth texture and soft cheese crust. 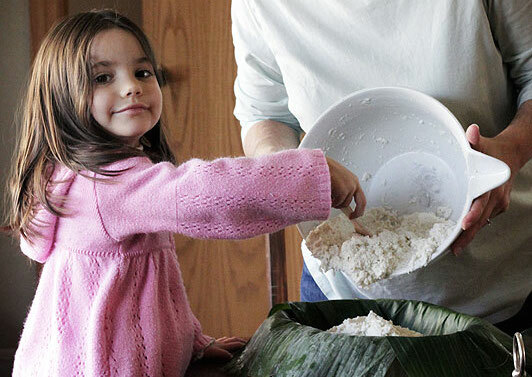 Encourage them to help you make it; They’ll love watching the cheese “disappear” into the milk. 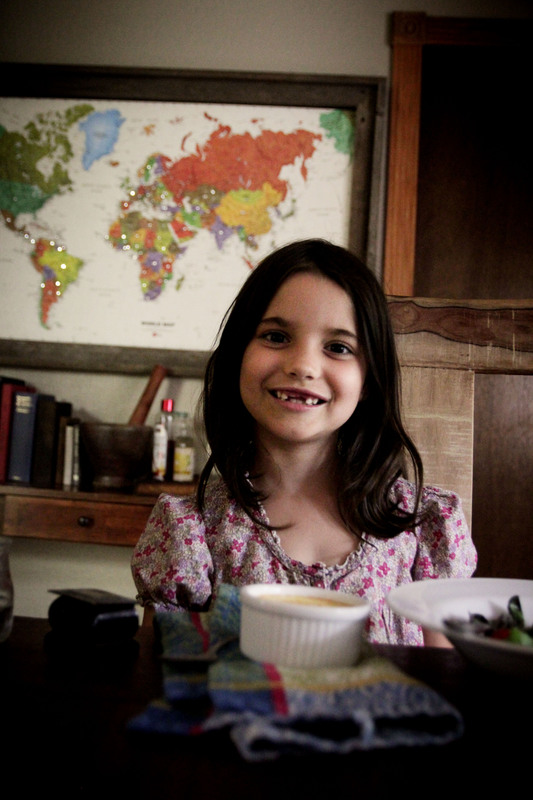 Speaking of kids… Ava is growing up waaay to fast. 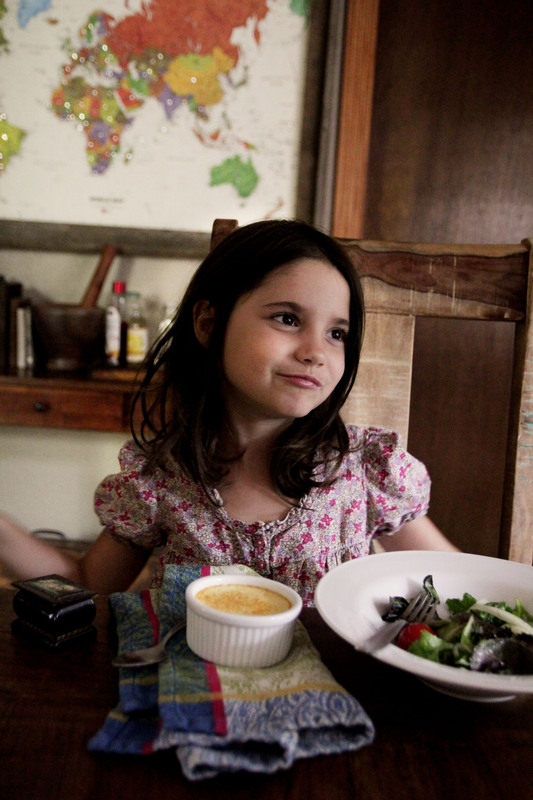 Six-years old and a first grader. SO. Indulge me for a moment and let’s enjoy this custard with a side of nostalgia. To help you with that, here’s a (hypnotic) Swedish tree. See how much it changes in a year? Animation of a Chestnut tree’s 365 day growth throughout 1979 in Lund, Sweden. 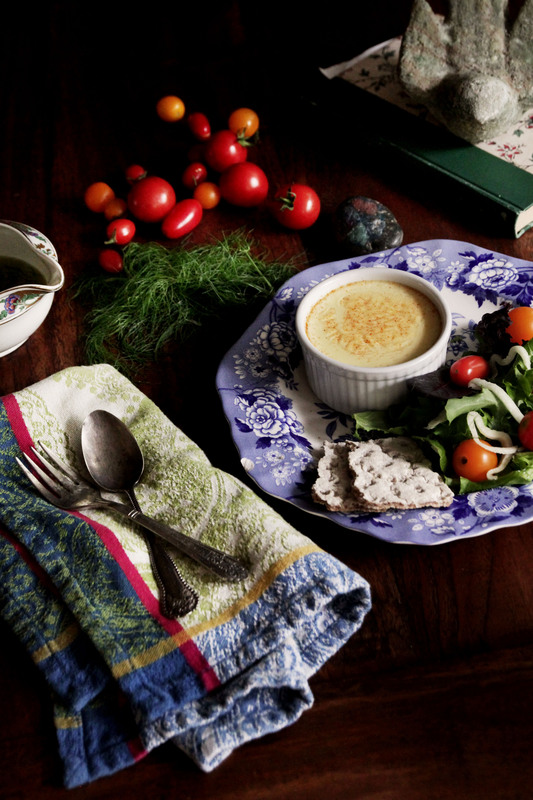 Swedish Cheese Custard is a delicate option for brunch - enjoy with a fennel salad dressed lightly in vinaigrette. You can use the fennel fronds to add dimension to your favorite oil and vinegar dressing. Preheat the oven to 300F and put on a kettle of water to boil. 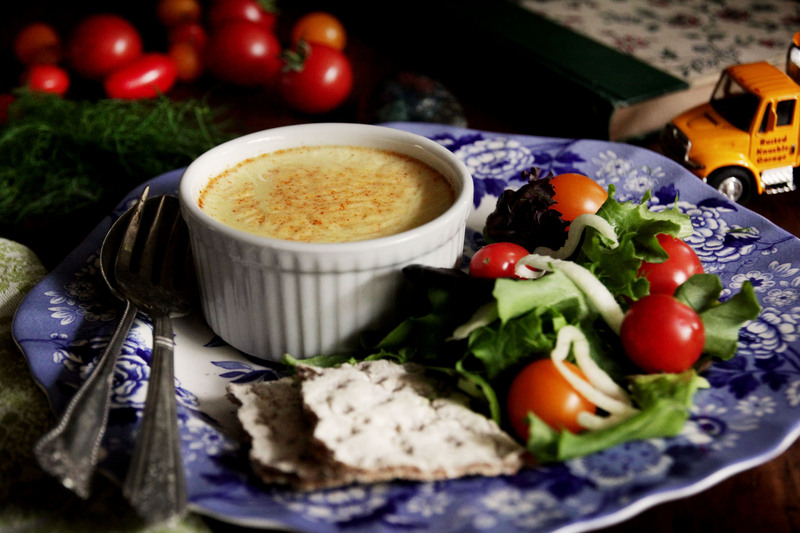 Place ramekins in a large casserole (like a lasagna pan). Leave room between each ramekin. Heat the milk over medium-high until one or two bubbles break the service. Reduce heat to low, add the shredded cheese, and stir until melted. Remove from heat. Break the eggs into a medium bowl and beat lightly. 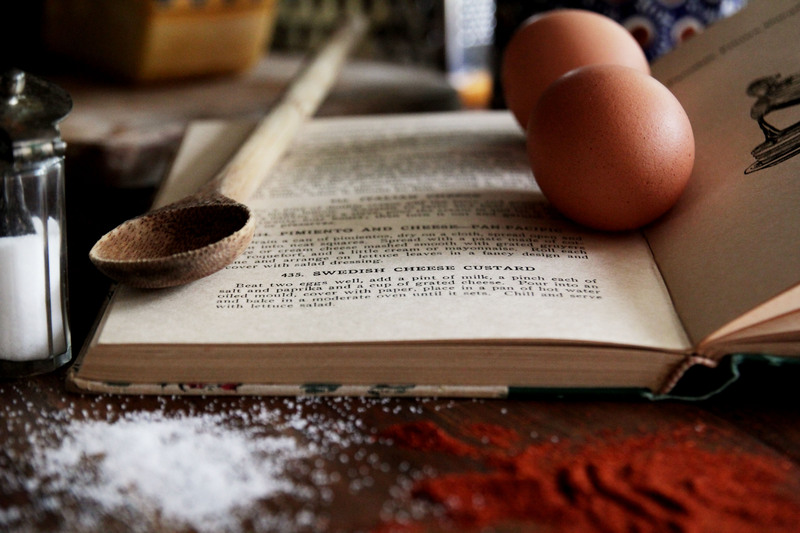 Stir in a few tablespoons of the hot milk to temper the eggs so that they do not scramble. Add the rest of the milk mixture and combine well. Strain and pour milk mixture into ramekins. Create a water bath: immediately pour boiling water into the large casserole until it reaches halfway up the sides of the ramekins. Place them in hot oven and bake for about 35 minutes. They'll still be jiggly but will set as they cool. Scrolling through your pics (we eat with our eyes first) I silently commented to myself how big she’s gotten; even since the birthday party post. And being Swedish I always be making this. I wonder if it’s something to do with losing those front teeth… Anyway, glad to hear this is something you enjoy at home. I loved it! Oh my goodness, this looks amazing!! I thing our next Global Table Adventure is going to have to be Scandinavia! I’ll sure be trying this soon! Your instructions say nothing about when to add the paprika and salt. Would you please add this information to the instructions for the benefit of myself and others?